Urban Ville is conveniently located in a good locality in Jaipur and is close to a number of important landmarks. The rooms provided by the establishment have been decorated elegantly and are well-lit. 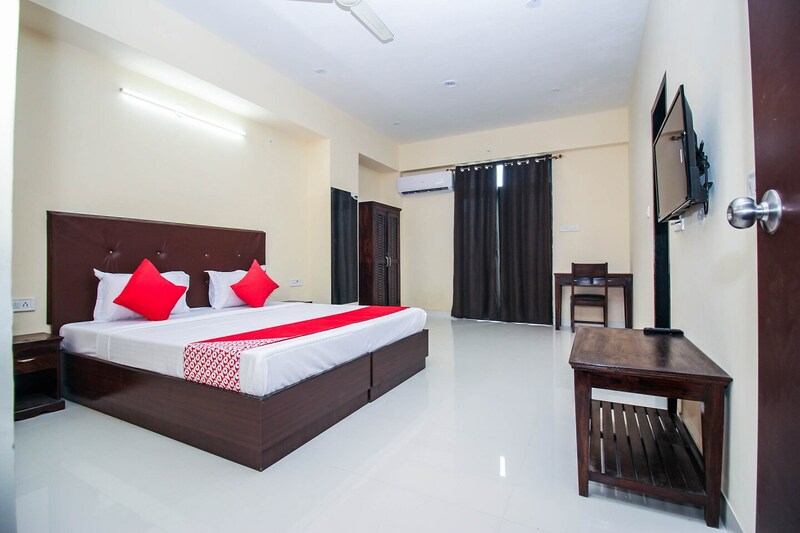 The colors used in the rooms are monochromatic in nature and all rooms are well-furnished. The rooms have been provided with large windows which help the guests enjoy some bright sunlight and fresh air. The additional facilities provided by the hotel are free Wi-Fi, a power backup facility, parking provisions, a mini fridge in each room, card payment in all forms, and an elevator facility. There is a common dining area which can be used by the guests to enjoy the delightful dishes made at the in-house restaurant. The front desk service is manned by experienced staff and helps the guests with their requests and requirements.